We've all heard the ridiculous demands in rock star's contract riders, things like the color of M&Ms, the temperature of the dressing room, the types of condiments for the party sub. Well, tomorrow night is The Legend of Zelda 25th Anniversary Symphony Concert in Los Angeles, and you should see Link's list of demands. 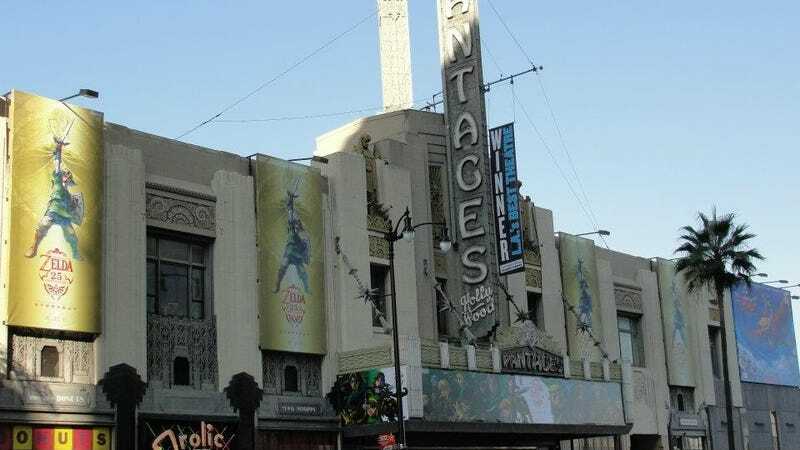 The venue, Pantages Theatre, is obligated to provide three dressing rooms, one of which a "secret room" that "must be accessible by bombing a wall." Link's room should have "one (1) large Fairy Fountain," and "Fairy to replenish health." The Pantages is also on the hook for providing—at its own expense—a Biggoron Sword, a Hookshot and a Mirror Shield, as well as refreshments, including potions and Lon Lon Milk. You can see the entire document here. It's all a big put-on, of course, but the concert is real. It's at 8 p.m. PDT tomorrow night at the Pantages Theater, 6233 Hollywood Boulevard, L.A. London will see the performance on Tuesday at HMV Hammersmith Apollo at 6:30 p.m. GMT. More information is available through this link.